Get cast as a paid extra. 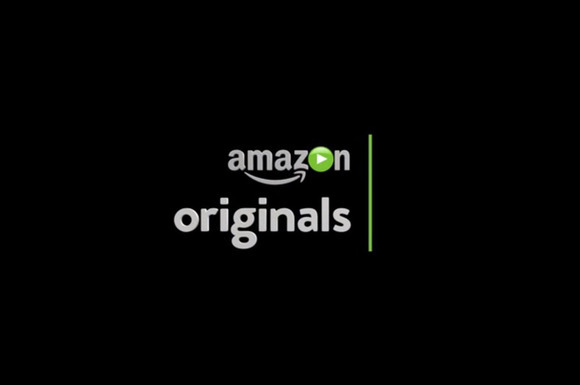 The new Amazon series “Utopia” is in production in the Chicagoland area and casting directors at Chicago’s 4 Star Casting have released casting calls to fill various small, background roles in the production. Utopia has been in the works for some time now. Around this time last year, the show was ordered for 9 episodes. According to various production reports, “Utopia” was originally to be produced with HBO and David Fincher was set to direct. Seems that deal fell through, but the show is back on for Amazon. “Utopia” is adapted for the US by Gillian Flynn from the original show which aired in the UK. Gillian Flynn wrote the book novel “Gone Girl” and also wrote the screenplay for the movie adaptation. Another one of Flynn’s books is being made into a TV show. Her novel “Sharp Objects” is being adapted for HBO and will star Amy Adams. According to Variety, “Utopia” is the first, of a few projects that Gillian Flynn is involved with for Amazon. Utopia is based on the Dennis Kelly, British, series of the same name. Utopia originally ran for 2 seasons in the UK, a few years back. “Utopia” centers on a group of people who meet online and find themselves involved in a conspiracy and followed by some kind of an underground, government organization that is wrapped in secrecy. The group finds a comic that changes their lives as they come to suspect that the stories in the book may be more fact than fiction. ANY GENDER, ANY ETHNICITY, AGE 12 MONTHS TO 16 MONTHS – We are looking for babies, it’s a plus if you have a set of identical twins to play one baby on set. Please let us know in your email submission. Your children MUST have a Current/Valid IL Work Permit through 4 Star Casting or a local talent agency. We will not accept other casting company work permits on this project. Please attach your children’s current work permit to the submission email and parent/legal guardian affidavit (can be found on our website at www.4starcasting.com). To be considered, your child MUST have a valid work permit. YOU MUST SUBMIT WITH ALL THE INFORMATION WE REQUEST IN ORDER FOR YOUR CHILD(REN) TO BE IN CONSIDERATION!! 5) Confirm your child(ren)’s general availability – Open, Extremely Flexible, Flexible, Limited? 7) Confirm if you have a vehicle for transportation for your child or if you would be taking public transportation? We will be in contact if your child is in consideration! 3) You must go into your POP Profile via a computer, and upload the FOUR requested photos – put them in the following slots; CURRENT LOOK: FRONT (FACE), CURRENT LOOK: SIDE (PROFILE), CURRENT LOOK: BACK (BACK OF HEAD TO SEE HAIRLINE), AND RECENT NON PRO BODY SHOT (FULL BODY PHOTO) if that slot does not upload, then use BODY ALTERNATIVE (FULL BODY SHOT). The photos should be selfies in good lighting with a neutral background, no filters, no hats, no sunglasses. If you currently have a photo in one of the slots mentioned, you will need to delete it prior to uploading the newer photo. For any submissions with Utopia, the FOUR photos must be uploaded to be considered. No exceptions. 4) Update your current measurements – Chest/Jacket, Pants, Neck/Sleeve, Dress and Shoe – the wardrobe department is asking to see sizes of many of the roles because you will need to fit a costume/uniform. As well, even if you bring clothes for a role, they want to know the sizes of the extras on set. ROLE: “TWIN BABIES” – ANY GENDER, ANY ETHNICITY, AGE 12 MONTHS TO 16 MONTHS – We are looking for a set of identical twins to play one baby on set. To be considered, your child MUST have a valid work permit AND be registered in our Minors Registration Survey. If you have filled out the survey before, please fill it out again, so that we have their current info. A link is provided here. 6) Confirm your child(ren)’s general availability – Open, Extremely Flexible, Flexible, Limited? 8) Confirm if you have a vehicle for transportation for your child or if you would be taking public transportation?